What are early signs of hearing loss? On average, it takes seven years from the time a person first notices changes in their hearing before they decide to see a hearing specialist. Hearing loss is difficult for the person who experiences it as well as their loved ones, friends, and colleagues. As an invisible condition, the symptoms are not noticeable right away as hearing loss. Additionally, because hearing loss interferes with speech recognition, people with early signs of hearing loss may inadvertently find themselves avoiding social interactions. As a result, untreated hearing loss may lead to social isolation, anxiety, and depression. Conductive hearing loss is affects the outer and middle ear, ear canal, eardrum, and ear bones (malleus, incus, and stapes). 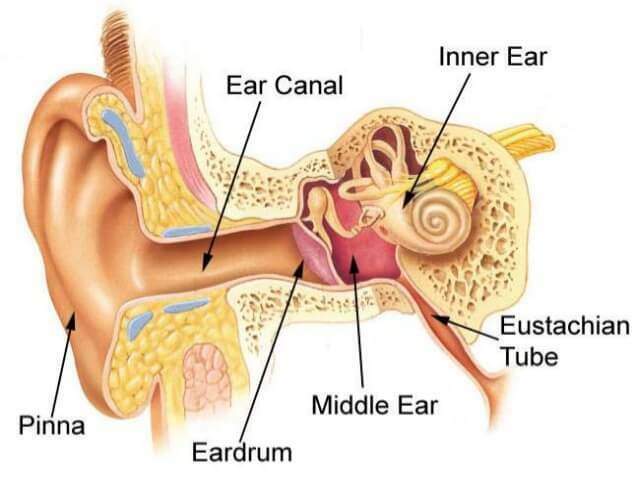 It may be caused by ear infection or fluid buildup in the middle ear from colds; damage to the eardrum; poor Eustachian tube function; impacted earwax, and malformation of the outer, ear canal, and middle ear structures. Sensorineural hearing loss affects the inner ear. Damage to inner ear hair cells, which translate sound vibrations into electric impulses that are sent to the brain to be registered as sound. Sensorineural hearing loss is caused by aging, exposure to loud noise, certain classes of ototoxic (poisonous to the ear) medications, Meniere’s disease, tumors, or head trauma. Mixed hearing loss is a combination of the above two types of hearing loss, affecting various parts of the ear. Hearing loss may occur to anyone at any age. It is the third most common physical condition in the United States, after heart disease and diabetes. Hearing loss affects an estimated 48 million Americans, or 20% of the population. A great number of older Americans experience some degree of hearing loss, with one in three people over 65 and 50% of people over 75 years old who have hearing loss. Approximately 60% of the American workforce experiences hearing loss. Hearing loss (as well as tinnitus) is a common medical condition that affects 60% of US service men and women returning from combat zones in Iraq and Afghanistan. Additionally, this new century has seen a rise in hearing loss for people of the younger generation. The World Health Organization estimates that “among teenagers and young adults aged 12-35 years, nearly 50% are exposed to unsafe levels of sound from use of personal audio devices.” Due to the ubiquity of portable technology, upcoming generations may experience hearing loss at an earlier age than their predecessors. How do you treat hearing loss? In order to treat hearing loss, it must first be identified. A hearing exam must be administered, to gauge the hearing ability in each ear. From these results, your hearing specialist will recommend treatment for the hearing loss, most commonly in the form of hearing aids. For people who experience tinnitus in addition to hearing loss, tinnitus therapy is available to alleviate the symptoms as well. Start your journey to better hearing!